These vegan, refined sugar free, and gluten free carrot cake muffins are so delicious! They are super moist and have a wonderful spice flavor. They are the perfect treat for Easter! Easter is this Sunday and I’m SO excited to be able to share this recipe for delicious Carrot Cake Muffins with you! They are the perfect treat to bring to brunch! It took me a couple of tries to get this recipe just right. My first attempt, I decided to start with my banana bread recipe as the base. I thought it would work great since carrot cake is typically a more dense texture. So I subbed out the bananas for shredded carrots and added a bit more liquid. The result was delicious, but a little too dense for a cake/muffin type recipe. I think I might keep that recipe around and use it to make carrot cake bread in the future. It really was yummy! So for my next attempt, I used my pumpkin muffin recipe as the base. I adjusted the spices a bit and subbed the pumpkin for shredded carrots and a bit of dairy free milk. They were amazing! The texture was soft and moist and the flavor was exactly what I wanted for a carrot cake muffin. My husband was the one that suggested adding a bit of citrus to the muffins. I thought a citrus glaze would be the perfect addition to them. I used some orange juice in the glaze and it was amazing! So let’s talk about how you make them! Oat flour: Helps give the cake a great texture and provides additional nutrients. Almond flour: Low in carbohydrates, provides protein, fiber, and lots of other nutrients. Shredded carrots: Carrots are an essential ingredient in this recipe and help add flavor and moisture to the muffins. Coconut sugar: Coconut sugar is a great healthy alternative to brown sugar. You can use brown sugar in it’s place if desired. Unsweetened applesauce: Applesauce acts as a replacement for eggs and makes the muffins tender. Coconut oil or avocado oil: I typically use avocado oil for this recipe, but coconut oil will work just as well. Dairy Free Milk of choice: I use “So Delicious Unsweetened Coconut Milk”, but any milk should work fine. Powdered sugar/sweetener: I use “Swerve” brand powdered sweetener. Orange juice: Lemon, pineapple juice, or dairy free milk may also be used depending on your desired flavor. Preheat the oven: to 350°F. Mix together dry ingredients: Add all of the dry ingredients except the chopped nuts to a large bowl and whisk until combined. Mix together wet ingredients: In another large bowl, add all wet ingredients and mix well. Stir together all ingredients: Pour wet ingredients into the dry ingredients and mix until combined. Add nuts: Optionally mix in chopped nuts. Prepare and fill muffin tins: Add muffin liners to a muffin pan or grease a muffin pan generously. Fill muffin tins until almost full. Bake: for 25-30 min or until a toothpick comes out clean. Mix together glaze ingredients: Add powdered sugar/sweetener and juice to a bowl and whisk until a glaze is formed. Drizzle over muffins. Add all of the dry ingredients except the chopped nuts to a large bowl and whisk until combined. In another large bowl, add all wet ingredients and mix well. Pour wet ingredients into the dry ingredients and mix until combined. Optionally mix in chopped nuts. Add muffin liners to a muffin pan or grease a muffin pan generously. Fill muffin tins until almost full. Bake for 25-30 min or until a toothpick comes out clean. Add powdered sugar/sweetener and juice to a bowl and whisk until a glaze is formed. © Just What We Eat. All images & content are copyright protected. Please do not use my images without prior permission. If you want to republish this recipe, please re-write the recipe in your own words, or link back to this post for the recipe. 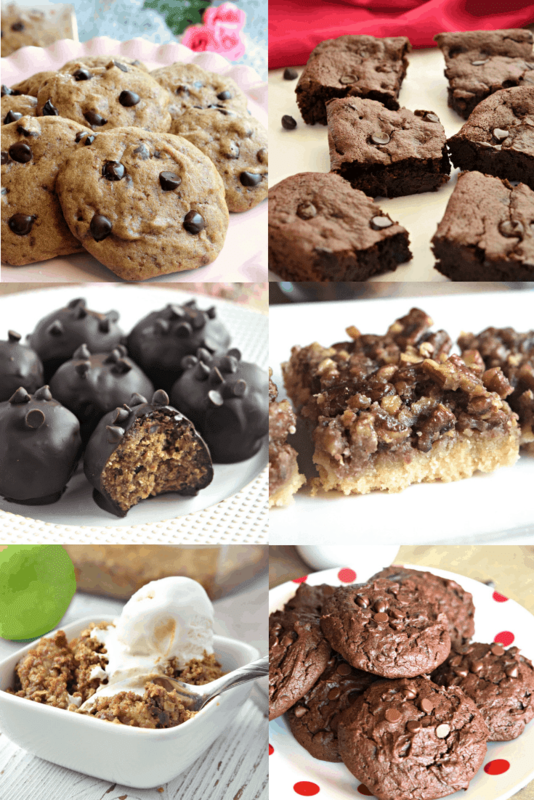 LOOKING FOR MORE DELICIOUS VEGAN AND GLUTEN FREE MUFFIN RECIPES? CHECK OUT SOME OF MY FAVORITES BELOW!